Beate Perrey, BA/MA (Munich/Harvard), MA, PhD (Cambridge) is a classical concert pianist and musicologist. 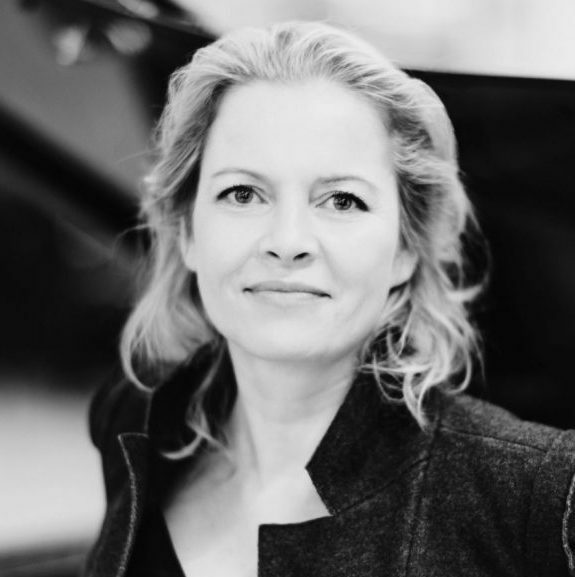 She is Professor of Piano Performance with research based at the Centre of Research in the Arts and Languages of the EHESS, the Institut for Advanced Studies in the Social Sciences in Paris. Beate Perrey studied piano with world-renowned artist Tatyana Nikolayeva, M. Coonrod at the Interlochen Arts Academy, Sulamita Aronovsky at the Royal Academy of Music, Jacques Rouvier and Jean Fassina in Paris, and through masterclasses with Pavel Gililov, Karl-Heinz Kämmerling, Vitaly Margulis and Jorma Panula (conducting). An expert of the Early German Romantic movement, its philosophy of universalism and visionary poetry, she is author of Schumann’s Dichterliebe and Early Romantic Poetics (Cambridge UP 2002, repr. 2007), editor of In(ter)discipline (Oxford 2007) and The Cambridge Companion to Schumann (Cambridge UP 2008) and author of many articles on music, literature and the arts. Passionate about music from Bach to Berg, and from Nô to Lhasa, she enjoys exploring performing arts projects involving poetry, theatre, the visual arts and philosophy. Elected Research Fellow, successively, of both Trinity and Christ’s College at the Cambridge University, Beate Perrey was Founding Director of the international Arts and Humanities research group In(ter)discipline — Cross-Currents and Resistances under the auspices of CRASSH, the Centre for Research in the Arts, Social Sciences and Humanities at the University of Cambridge for 8 years. Beate Perrey taught both music-focused and cross-disciplinary seminars at Cambridge University (10 years), UCL (1 year), as Visiting Professor at the École Normale Superieure Paris (1 year), as Senior Lecturer (tenure 2005), Director of Graduate Studies and Reader (2011) at Liverpool University (8 years), and at EHESS where she also supervises Habilitation candidates since 2008. Current projects focus on Living Performance: Music as Story, Beethoven’s late piano sonatas and Sense Experience in the Arts. A committed musical artist and cultural thinker, Beate Perrey has collaborated with internationally renowned artists such as US video artist Bill Viola on Peter Sellars’ and Esa-Pekka Salonen’s ground-breaking Tristan and Isolde production, British theatre director Simon McBurney of Théatre Complicité on improvisation, US multimedia artist Mike Kelley on memory, as well as with intellectuals such as literary critics Malcolm Bowie and Dame Gillian Beer, psychoanalyst Adam Phillips and cultural critic Edward Saïd. Beate Perrey is passionately committed to music education and is a supporter of a number of humanitarian music-educational organisations. This showed in her friendship with the late Edward Said, leading to her involvement with Al Kamandjati and the Barenboim-Said Foundation, including teaching music in the Middle East since 2009. Giving talks and lecture-recitals in European countries, South America, China and the US, 2012-14 saw recitals of Scarlatti, Mozart, Beethoven and Schumann, and Mozart’s piano concerto no. 12 in A-major with musicians of the Orchestre de Paris at the invitation of Her Britannic Majesty’s Ambassador to France Sir Peter Ricketts. 2015 features Mozart’s piano concert no. 9 ‘Jeunehomme’, solo and duo recitals in Naples, Nice, Paris and Avignon, and a Piano Masterclass 22-26 July in Postignano, Italy. The exceptional privilege of working with such wonderful personalities as Jacques Rouvier and Jean Fassina in piano, but also Yoshi Oida in theatre, has enriched her life, as have her studies at Harvard and Cambridge, and she hopes to do the same for her students in turn. Beate Perrey was honoured to perform with members of Yo-Yo Ma’s amazing Silk Road Ensemble for their 2017 Global Musicians Workshop at DePauw University in the USA. Joining these incredible musicians from all over the world — african, arabic, asian, western, traditional, classical, jazz — means exploring and creating new soundscapes and enriching the traditional concert experience with new musical possibilities. 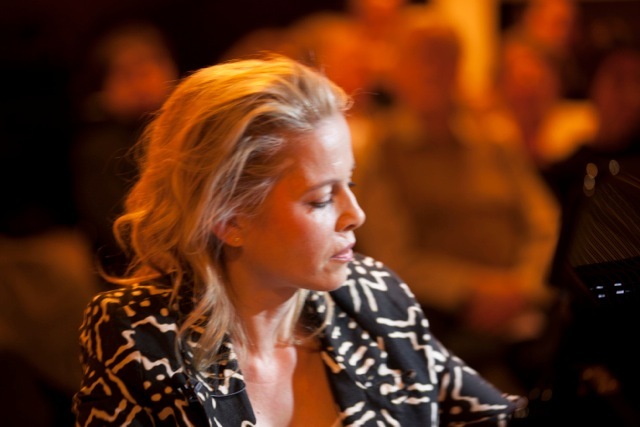 Beate Perrey is founder and artistic director of Piano Passion Paris, a network of pianists performing in private and public venues in Paris and beyond. Beate is trilingual in English, German and French and speaks Japanese. She lives in Paris and London.